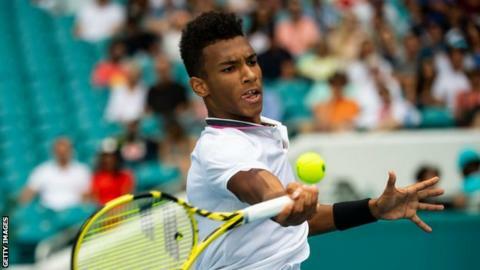 Canada's Felix Auger-Aliassime been awarded a wildcard for May's Madrid Masters after reaching the Miami Open semi-finals. "I have great memories from my junior career at the Caja Magica, where I hope to produce some magic again," he said. Spain's former world number three David Ferrer - in his final season before retirement - had already been offered one of the four wildcards on offer.